Looking to take your Summer event to the next level? 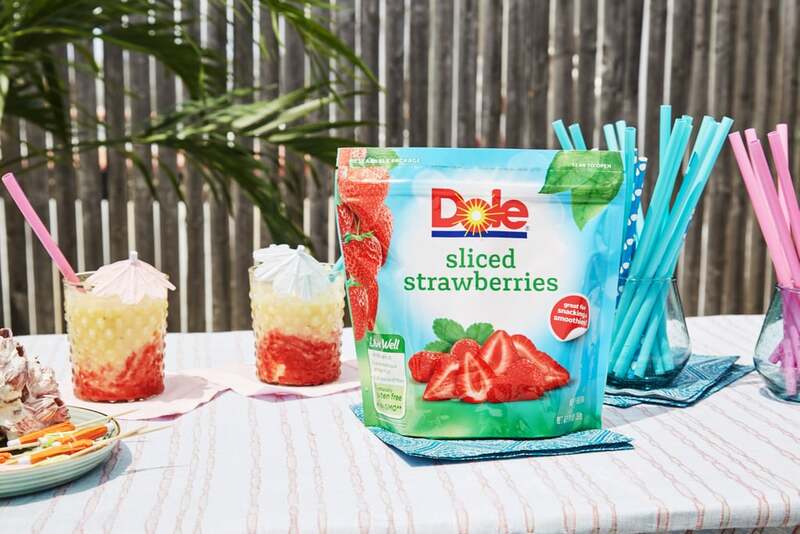 We’ve partnered with DOLE® Frozen Fruit to help you taste the unexpected, bringing ocean vibes poolside for a party your friends will never forget. 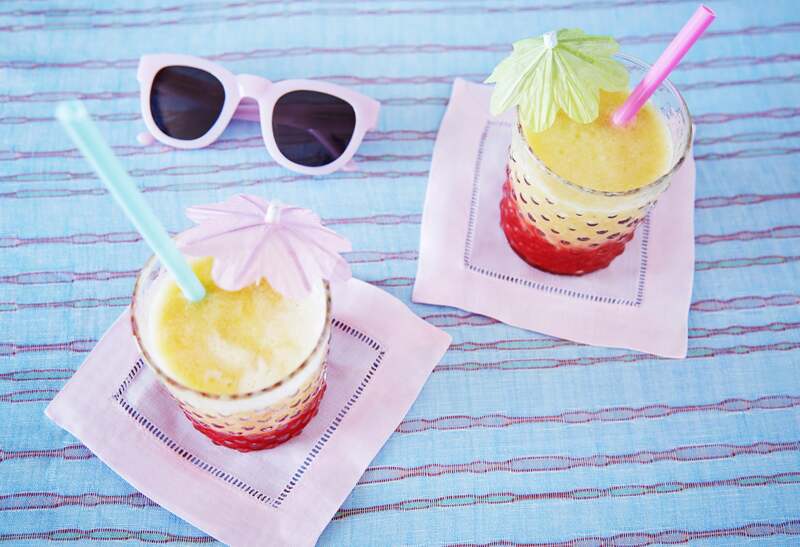 You never need an excuse to throw a pool party, but when the temperature is creeping up and the humidity is maxing out, there’s no better time to gather up some friends and plan the ultimate summertime bash. We’re not talking about a simple tiki bar, but a full-blown event with a dedicated poolside lounge, a DJ pumping out amazing tunes, and all of your friends chilling with cold beverages in their hands. Epic parties that push the boundaries of fun require some forethought to be pulled off well. So we've got everything you need to make sure your next pool party is anything but ordinary. Your average pool party doesn't require an invite or RSVP, but this event it anything but typical. To generate intrigue and anticipation for the big day, send out fun, handwritten invitations and matching RSVP cards. Guests will begin to wonder about the additional unexpected touches that await. While the pool’s the main attraction at the party, there’s no reason you need to stop there. Give guests an activity that will actually teach them a thing or two — a cocktail-making class! Enlist your friend who always plays the role of designated bartender to show everyone how to make the event’s signature cocktail like a seasoned mixologist. To get the lesson started, try our favorite island-inspired libation, a Lava Flow Cocktail using frozen DOLE Strawberries. This layered, icy cocktail gives the effect of flowing lava (hence the name!) and adds a bright pop of color to your tablescape. Don’t forget to include nonalcoholic drink choices and lots of water to keep your guests hydrated on warm weather days. Idea Alert: People are going to be asking for the recipe to your tasty cocktails. 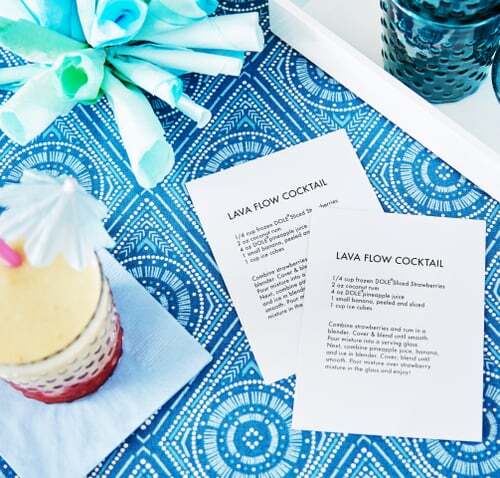 Beat them to it by printing up recipe cards that guests can take with them to re-create refreshing and unexpected DOLE cocktails at home. Epic parties don’t just require a master at mixing drinks, but one who can turn a tune, too. A professional DJ can read the crowd to play the right song at the right moment and infuse amazing energy. Chances are your playlist set to repeat won’t do that. 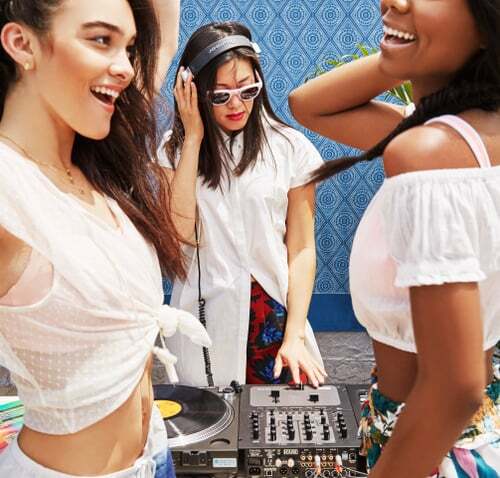 So splurge on a local DJ — we promise, you won’t regret it! Ask your your guests to send in their top five song requests for the set list along with their RSVP card. This will get them involved and will definitely be a crowd pleaser! One thing everyone remembers from a good party is the food. Give your guests a visual sensation to prime their taste buds. We love the concept of incorporating quick and easy seasonal bites to complete the theme. 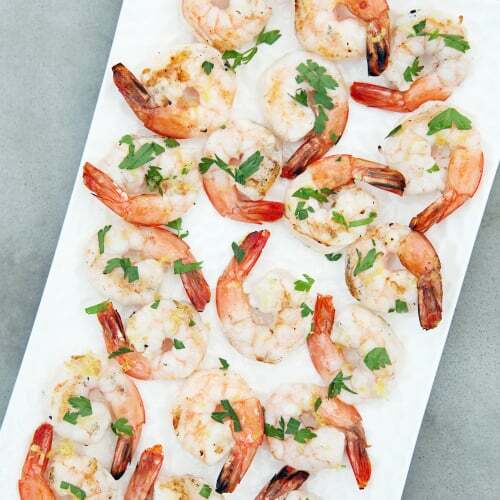 Why not start out with some seafood like grilled lemon shrimp for some coastal tastes. Kick the food into high gear with some poke bowls, a refreshing rainbow quinoa salad, and individually packed mason jar salads that are pleasing to the eye and your tastebuds with carefully layered ingredients. And don't forget the sweets! 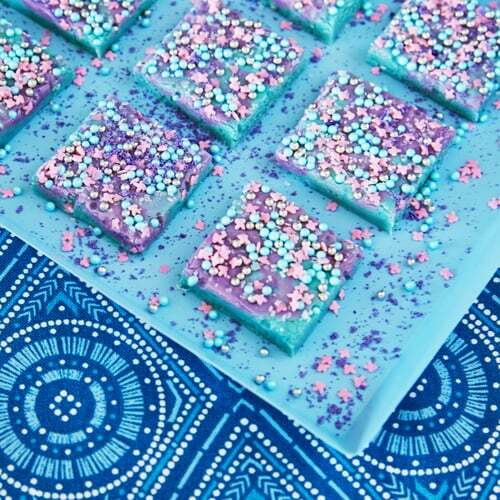 This mermaid fudge just screams Summer and perfectly tops off any pool party meal, while avocado truffles are an unexpectedly tasty treat they'll love. But it’s not just what you’re serving, it’s how you serve it. Keep an eye out for sand dollars to add some festive touches to your serving table. Real seashells can be used as bowls and hollowed out real coconuts can be used for serving dips or salsa. And an assortment of brightly colored ocean-themed decor can easily dress up your snack bar. Gather 7-10 pool noodles in various ocean colors. Use a box cutter to cut a spiral slice down the length of the noodle, turning the noodle as you slice (think candy cane stripes). Be sure to leave at least six inches between the spirals and cut through to the opening in the middle of the noodle. Leave one foot at the bottom of the noodle uncut. When you've reached the bottom, start a second spiral cut about halfway between the first set of spirals. Cut holes in an empty cardboard box (this will be your base) and place the "coral" spirals in the box. 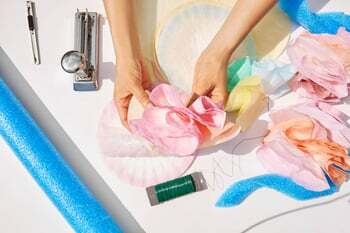 Make tissue paper pom-poms or fans to decorate the base of your coral reef. Idea Alert: Trim the ends different lengths to make the reef seem more real. 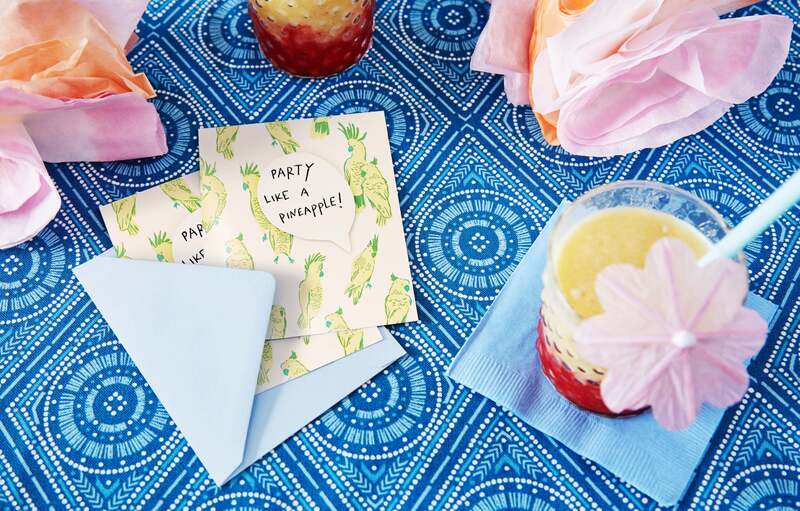 If all goes according to plan, your guests will be enjoying all the unexpected party elements and laid-back atmosphere — so much so that they won’t want to leave when the sun starts to set. The pool area can easily be transformed into a luminous background for your evening activities with some inexpensive glow sticks. 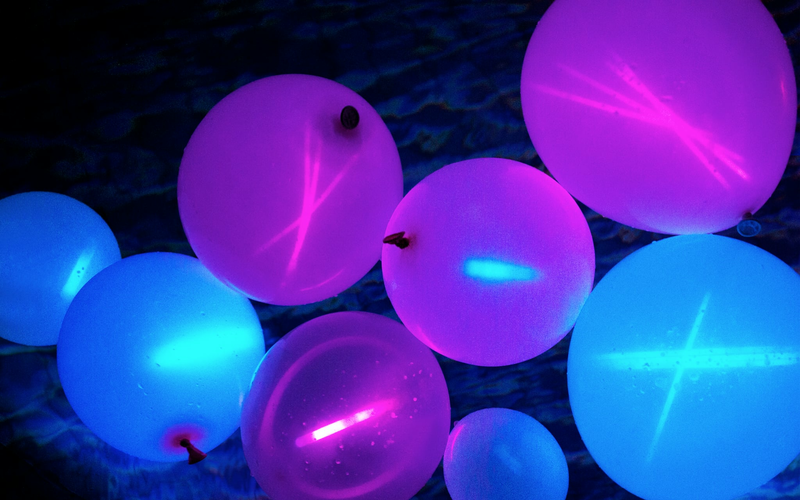 Simply crack glow sticks and add them to balloons. 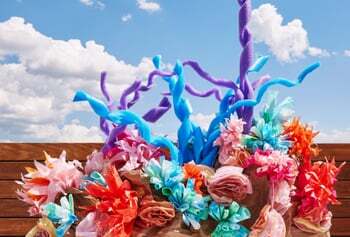 Inflate the balloons, toss them into the pool, and watch the pool come aglow. Idea Alert: Insert glow sticks into balloons, blow them up, and let them float in the pool or tie them up along the perimeter of the event. Want more recipes from DOLE? Looking for more unexpected recipes? Head on over to see all the recipes from DOLE Frozen Fruit. Since frozen fruit is always in season, you can create the tastes of summer all year long.